In 2016, astronomers reported their discovery of a planet orbiting our nearest stellar neighbour, Proxima Centauri (see: Space Sunday: exoplanets, dark matter, rovers and recoveries). Since then, the debate has swung back and forth on the potential of it being suitable for life. 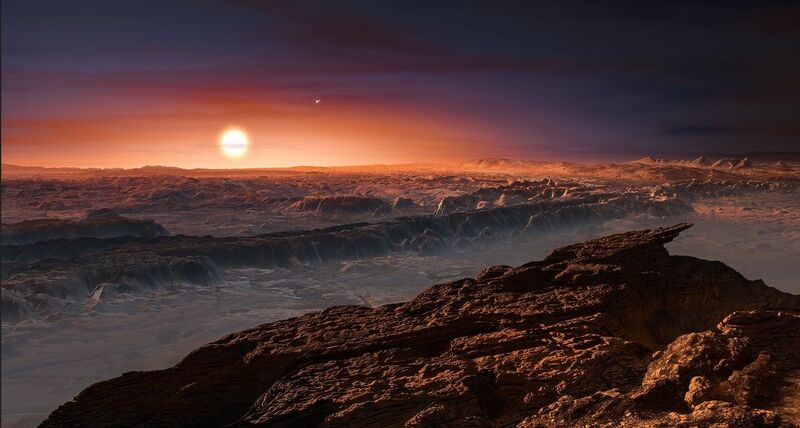 While the planet – called Proxima-b – lies within it’s parent star’s habitable zone, there are, as I’ve previously reported, some significant barriers to it being a potential cradle for life. In particular, red dwarf stars are volatile little beasts (Proxima Centauri is just 1.5 times bigger than Jupiter), with their internal activity convective in nature. This tends to give rise to massive stellar flares that can bathe planets orbiting them in high levels of biologically harmful radiation. In addition, many planets discovered orbiting red dwarfs are so close to their parent as to be tidally locked – always keeping the same face towards their sun. This means they are liable to extremely hostile conditions: high temperatures on one side, freezing cold on the other, with the region around the terminator liable to violent weather – assuming they have an atmosphere; over longer periods of time, the onslaught of X-ray radiation and charged particle fluxes from their parent star can literally strip away any atmosphere, unless a planet can replenish it fast enough. 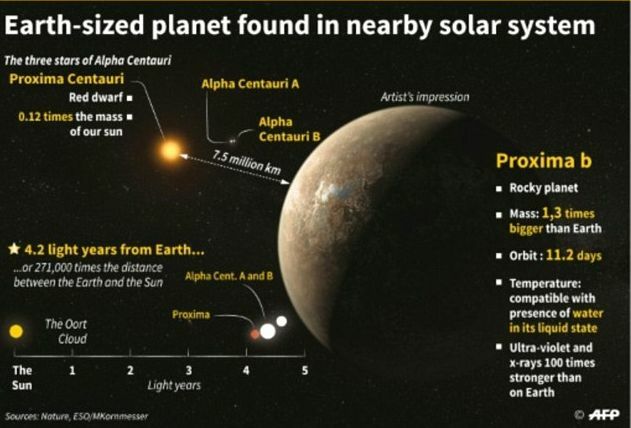 This latter point is the conclusion reached by a team of scientists at NASA’s Goddard Space Flight Centre in Greenbelt, Maryland in reference to Proxima Centauri b in 2017 (see: Space Sunday: Curiosity’s 5th, Proxima b and WASP-121b), although they were working largely from computer modelling. However, all that said, if Proxima-b does still have an atmosphere, then a new study conducted by researchers from the Carl Sagan Institute (CSI) suggests life might have got started on Proxima-b, and might even still exist there. In essence, the team from CSI examined the levels of surface UV flux that planets orbiting M-type (red dwarf) stars like Proxima-b would experience and compared that to conditions on primordial Earth. At that time, some 4 billion years ago, Earth’s surface was hostile to life as we know it today, thanks to a volcanically toxic atmosphere and the levels of UV radiation reaching the surface from the Sun; however it is believed the it was the period when life first arose on Earth. In particular, the team modelled a range of possible surface UV environments and atmospheric compositions of four nearby “potentially habitable” exoplanets: Proxima-b, TRAPPIST-1e, Ross-128b and LHS-1140b. These models showed that as atmospheres become thinner and ozone levels decrease, more high-energy UV radiation is able to reach the ground – which was to be expected. But when they compared the models to those developed for Earth as it was 4 billion years ago, things got interesting: the exoplanet models suggest that the UV levels they experience are all lower than the Earth experienced in its youth, when the first (pre-oxygen) life is believed to have existed – suggesting that despite their harsh conditions, life might have gained a toehold on them. With Proxima-b this is particularly interesting, as it is liable to be somewhat older than the Earth, possibly by as much as 200 million years. This means there is a possibility that if simple life arose there early enough after the planet’s formation, it might well have had enough time to adapt to the development environment as atmospheric conditions changed, and thus survived through to current times. The news from Proxima Centauri doesn’t end there. A team of researchers from the University of Crete and the Observatory of Turin has found possible evidence of a second planet orbiting the star. Proxima Centauri b was identified using two instruments operated by the European Southern Observatory in Chile, which recorded “wobbles” in Proxima Centauri’s spin as a result of planetary gravitational influences. One of those instruments, called HARPS, has been the focal point for the team claiming there’s evidence for a second planet orbiting the star. By studying data gathered over the last 17 years, they believe they have found sufficient evidence to suggest a second planet could be affecting the star’s spin. The team estimate that this second planet could have a mass approximately six times that of Earth, putting it in the category of a super-Earth / mini Neptune class of planet in terms of potential size, and that it likely orbits its parent at a distance of approximately 1.5 AU (1.5 times the average distance between the Earth and the Sun) once every 5 terrestrial years. . At such a distance, it’s likely that the surface temperatures of the planet is likely to be around -230oC. Confirmation that the new planet does actually exists is now required – hence the research time offering their report for further peer review. Curiosity has been on the road for nearly seven years. Finally drilling at the clay-bearing unit is a major milestone in our journey up Mount Sharp. With these words, issued in a press release on April 11th, the Mars Science Laboratory team announced a major goal for Curiosity rover had been achieved. While it may seem are to believe, despite seven years on the surface of Mars, and with multiple drilling samples obtained, gaining a direct sample of clay rock has proven elusive. While the rover has previously sampled clay deposits and the minerals they contain, these have been contained in samples of mudstone the rover has sampled, rather than from an actual layer of clay. The primary goal for the mission is to determine whether Mars ever have the right conditions for microbes to live. It’s a question that can be answered by sampling the planet’s soil, air, and rock and carefully analysing it. 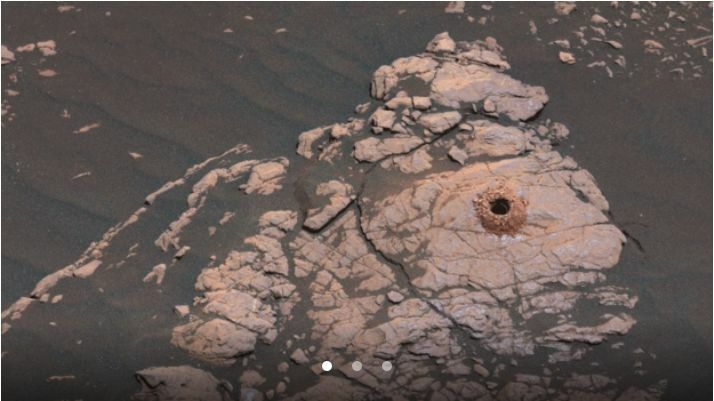 This goal was actually met in the first several months of the rover’s time on Mars while it was still exploring the crater floor, but the more evidence Curiosity can gather, the clearer our understanding of past conditions in Gale Crater and on Mars become. In this, clays play an important role. They form in water, a key requirement for life, and can act as repositories for chemical and minerals that might be indicative of conditions suitable for past life. This particular sample of clay came from a rock formation on the side of “Mount Sharp” dubbed Aberlady, which Curiosity drilled on April 6th, 2019. The black hole in the above image resides at the centre of Messier 87 (M87), around 16.4 million parsecs (53 million light-years) from Earth, and part of the Virgo galactic cluster of about 12,000 galaxies. It marks the first time we have directly imaged a black hole – and it is a remarkable achievement for a number of reasons. Thanks to Hollywood, we’re all very probably familiar with the idea of black holes: a point is space where matter is so compressed that it creates a gravity field from which not even light can escape. 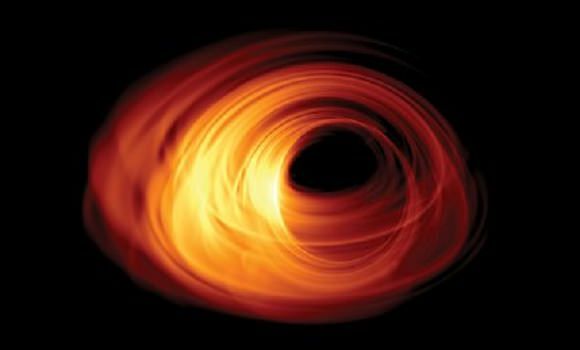 However, black holes come in a variety of forms, of which the most unusual might well be those that exist at the centre of many galaxies – including our own. Referred to as “supermassive black holes” on account of their extreme mass, they on a scale many times larger than your typical stellar black hole (which, despite being referred to as “massive” – a reference to their gravitational attraction. We don’t actually understand how galactic black holes like the one at the heart of M87 – and called M87*) formed, but being able to examine them directly could answer some fundamental questions about the nature of the universe and physics, as well as helping us to understand the role they play in the evolution of galaxies. The problem is, actually directly imaging any black hole is actually very hard simply because they are – well, black, and thus not the easiest of things to see against the blackness of space. Fortunately, there is a way around this problem: black holes are not alone. Their massive gravity means they attract dust and gas, which forms an accretion disk around the black hole, spinning around them at enormous speeds and producing radiation in a range of wavelengths including radio, optical and infra-red. Given given the right capabilities, we can image a black hole against the radiation from this accretion disk. But even with an accretion disk to shed light around a galactic black hole has its own set of issues. To image the one at the centre of our own galaxy, for example, is the equivalent of trying to stand in New York’s Times Square and being able to count the dimples on a golf ball 4,000 km (2,450 mi) away; and this despite the fact that the black hole at the centre of our galaxy is thought to be at least 60 million kilometres across. Nor is trying to image them optically particularly helpful. They need to be imaged across a range of wavelengths – the problem here being that to do so, you need a radio telescope effectively the size of the Earth. To achieve this, and following an idea first put forward 26 years ago by German radio-astronomer Heino Falcke, the idea of the Event Horizon Telescope (EHT) was developed. This involves linking numerous radio telescopes together so they can jointly examine a single target and gather data on it. To image M87*, eight of the world’s most powerful radio telescopes and telescope arrays were linked together. Over a period of about a week in 2017, they were used to gather 4 petabytes of data about the light from M87* in the millimetre wavelength. The drives containing this data were then physically shipped from the observatories to the Haystack Observatory and the Max Planck Institute for Radio Astronomy, where they were plugged into a grid computer made from about 800 CPUs linked through a 40 Gbit/s network, with the data processed by four independent teams using a series of tested algorithms to ascertain the reliability of the results. The final processing run was completed using the two most established algorithms to produce the image seen here. This is in fact only the first galactic black hole image to b released. As well as studying M87*, the global EHT array has also gathered data on the black hole at the centre of our galaxy (and called Sagittarius A*), and at least two other supermassive black holes. However, imaging our own galactic black hole proved much harder, and delays in getting the physical hardware containing the data captured by the South Pole Telescope shipped from Antarctica to the Haystack Observatory has meant that processing the data is still in progress. According to theoretical physics – such as Einstein’s theory of relativity – scientists already knew what the image should look like: the aforementioned glowing accretion disk and the shadow of the black hole at its centre (so beloved of sci-fi films that feature black holes). However, simply seeing an image that matches what we believe we should be theoretically seeing helps further confirm Einstein’s theories about the nature of the universe around us. From the actual image on M87*, scientists have already been able to confirm Einstein’s general theory of relativity under extreme conditions – notably the prediction of a dark shadow-like region, caused by gravitational bending and capture of light. They have also confirmed the shadow is consistent with expectations for that of a spinning Kerr black hole, which Einstein again predicted. 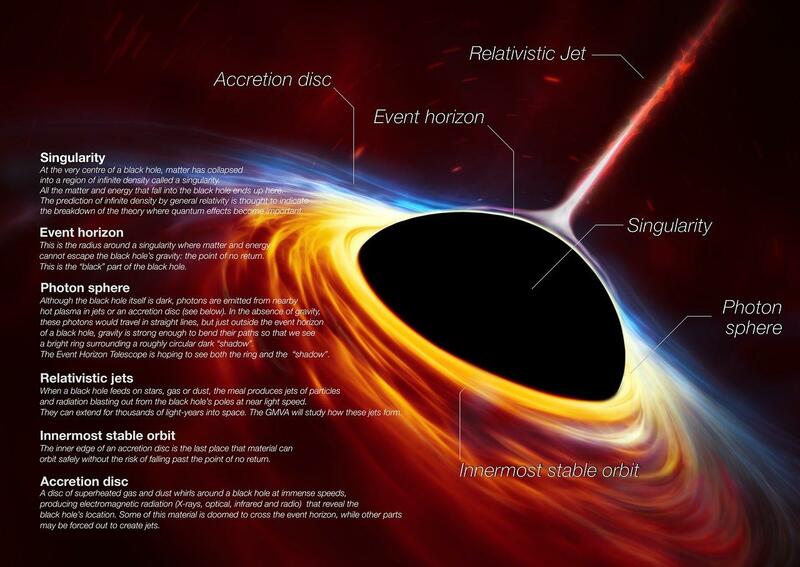 Further, by combining the asymmetric nature of the accretion disk with the angle of the relativistic plasma jet created by M87* (not actually visible in the black hole image), astronomers believe M87* is spinning in a clockwise direction. Further, the image has refined estimates of M87*’s size – 40 billion km across the event horizon (that’s 270 AU or 0.0042 light years; roughly 2.5 times smaller than the shadow circle shown in the image) – and its mass, estimated at 6.5 billion solar masses (± 0.7 billion). We have taken the first picture of a black hole. This is an extraordinary scientific feat accomplished by a team of more than 200 researchers. The image itself is shown in false colour to indicate the intensity of the emissions from the accretion disk. Yellow represents the most intense emissions, dropping to red as the lower intensity emissions, and black for little or no emissions. Were we able to see M87* with the naked eye, the colours would lightly be white, perhaps slightly tainted with blue or red. And while it has yet to be 100% confirmed, the colour bias towards yellow on the southern arc of the ring, together with its asymmetry, is thought to be the result of the gases in that region moving more in our general direction. While this image has already revealed much, there are numerous questions we have yet to fathom. We may now know the nature of M87*, but we still don’t know how it was formed, or why so many galaxies have black holes at their centres. Nor do we as yet understand why some (like M87*) produce the great plumes of relativistic gas while others, such as the black hole at the centre of our galaxy do not. So expect more to come as a result of studies arising from the work of EHT. 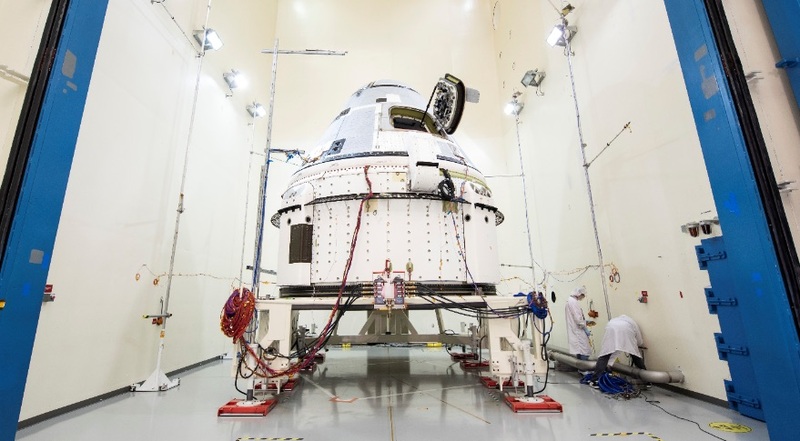 Boeing has opted to delay the first launch of its CST-100 Starliner, designed to fly crews to and from the International Space Station. The uncrewed launch, referred to as the Orbital Flight Test, has been pushed back from April to August 2019, with the company citing a tight schedule and conflicts with another launch – that of the Advanced Extremely High Frequency (AEHF) 5 military communications satellite due in June 2019 – as the reasons for the delay. The “tight schedule” meant that the launch would likely slip into May – but the AEHF-5 launch would mean that the Starliner would only have a 2-day launch window before its own Atlas 5 booster would have to be removed from the launch complex in order to make way for the classified military launch. Our Starliner team continues to press toward a launch readiness date later this spring,” the company said, which also included the completion of a final set of testing milestones. In order to avoid unnecessary schedule pressure, not interfere with a critical national security payload, and allow appropriate schedule margin to ensure the Boeing, United Launch Alliance and NASA teams are able to perform a successful first launch of Starliner, we made the most responsible decision available to us and will be ready for the next launch pad availability in August. The delay means that the second test flight of the vehicle, due to fly a crew of two NASA astronauts, Nicole Mann and Mike Fincke, together with Boeing test pilot Chris Ferguson, to the International Space Station, will also be delayed. That flight had been due to take place no earlier than August, but Boeing now state it will take place “later in the year”, with industry experts suggesting it will not proceed any earlier than November 2019. 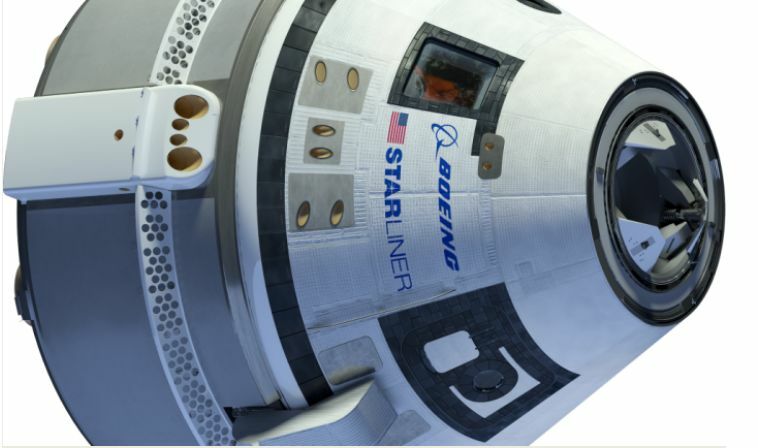 Following the announcement, NASA indicated that the crewed flight for Starliner will include an extended stay at the International Space Station, lasting several months (the extract length of the stay still to be determined). This extension will effectively allow NASA to turn the mission from a test flight into a crew rotation mission – an idea that had been first mooted in 2016. All three of the crew have been training for ISS operations, and the move could offset the need for an extended use of Soyuz vehicles. As it is, in February, 2019, NASA issued a procurement notice to purchase two additional Soyuz seats from the Russian state space corporation Roscosmos, seats that the Russians didn’t plan to use for their own cosmonauts in order to help ease potential problems were either SpaceX or Boeing to encounter programme issues with their respective vehicles, the Crew Dragon and the CST-100. While we have already made substantial progress this year, this shift gives us the time to continue building a safe, quality spacecraft capable of carrying crews over and over again after a successful uncrewed test, without adding unnecessary schedule pressure. Mars: of “Eclipses”, and Evidence of Ancient Life? In March 2019, NASA’s Mars Science Laboratory rover Curiosity was able to record a “double eclipse” as the two Martian moons, Phobos and Deimos passed between the rover and the Sun; although while the media referred to them as “eclipses”, such is the size differential between the tiny moons and the Sun, they are technically transits. The first transit took place on March 17th when Deimos, the more distant of Mars’ two captured moons, passed across the face of the Sun, its passage recorded by Curiosity’s Mastcam. The second event took place on Mars 26th, when the much larger – and closer – Phobos (11.5 km across) passed in front of the Sun, again filmed by Curiosity’s Mastcam. This event was the more dramatic of the two, not only because of the larger apparent size of Phobos, but because the Moon actually cast a visible shadow, which was captured by the rover’s navigation cameras. Images of all of the events were subsequently strung together to make a short video (below). However, movie making isn’t the primary objective in observing the transits. Each set of these types of observations – which have also been made by the now-defunct Mars Exploration Rovers, help scientists further refine each moon’s orbit of Mars. When observations of Deimos commenced from the surface of Mars, for example, estimates for where it should be were about 40 km off. 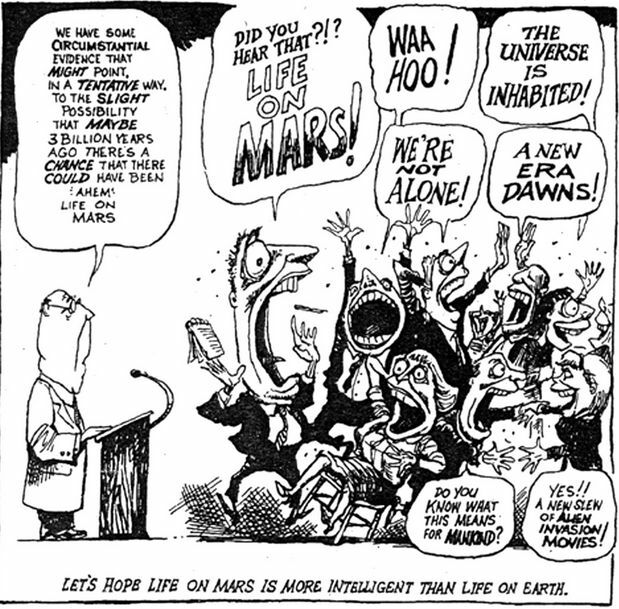 According to NASA, scientists are in agreement present-day Mars is without life. However, whether there might once have been life there is open to debate, and a team from Hungary believe they have found organic material embedded in a Martian meteorite found here on Earth in the late 1970s. Officially named ALH-77005, the Martian meteorite was found in the Antarctica’s Allan Hills during the Japanese National Institute of Polar Research mission of 1977 / 78. If the reference “ALH” and “Allan Hills” sounds familiar, it might be due to a furore that occurred around another Martian meteorite fragment in the late 1990s. That fragment – ALH-84001, found in Allan Hills in 1984 – is one of the oldest fragments of Mars rock to have fallen to Earth, being dated at 4 billion years of age. When studying the fragment, a US team thought it might contain evidence for microscopic fossils of Martian bacteria within it. From the start, the claims were considered controversial – although the way the White House and the media over-reacted at the time didn’t help. However, extensive and international study of shavings from the fragment revealed that all of the unusual features discovered within the meteorite could be explained without requiring the intervention of microbial life, and the wider scientific community rejected the hypothesis that the fragment offered evidence of past life. Nevertheless, the events surrounding ALH-84001 pushed the science of astrobiology firmly into thee public domain. In their report on ALH-77005, Hungarian scientists Ildiko Gyollai, Marta Polgari and Szaniszlo Berczi state they have been able to determine the presence of mineralised organic matter within the rock, such as different forms of bacteria within the meteorite, suggesting that life could once have existed on the Red Planet. Our work is important to a broad audience because it integrates planetary, earth, biological, chemical, and environmental sciences and will be of interest to many researchers in those fields. The research will also be of interest to planetologists, experts of meteorite and astrobiology as well as researchers of the origin of life, and to the general public since it offers an example of a novel aspect of microbial mediation in stone meteorites. While the work will require independent study and review, and the lessons of ALH-84001 could result in some remaining sceptical of the Hungarians’ findings. Nevertheless, there report could change the examination of meteorites in the future. In light of their discovery, the authors posit that solar system materials should be studied to establish whether there is evidence of microbial forms within space rocks as well. After US space agency NASA indicated their schedule for the new Space Launch System (SLS) rocket is to undergo revision, with launches liable to be pushed back, the White House has stepped in with an apparent contradiction: NASA is to accelerate plans to return humans to the Moon, achieving the goal no later than 2024 – a target that requires a fully operational SLS. The order came via an address by Vice President Mike Pence at a meeting of the National Space Council on March 26th in Huntsville, Alabama. He couched the order in terms of addressing rising concerns about delays to SLS and the “threat” of international competition. However, alternative views are that the demand is more about the Trump administration trying to achieve a Kennedy-like legacy before any possible second term for the administration has expired. Following the address, NASA Administrator James Bridenstine backpedalled away from statement made two weeks previously, in which he indicated that NASA would look at options for initial flights of the completed Orion capsule and its European-built Service Module using commercial launch vehicles, rather than relying on the SLS, to allow more time for troublesome elements of that vehicle to be completed. Instead, NASA will now attempt to focus on getting the SLS up and running for the initial Exploration Mission flights, themselves seen as necessary precursors to a Moon landing. 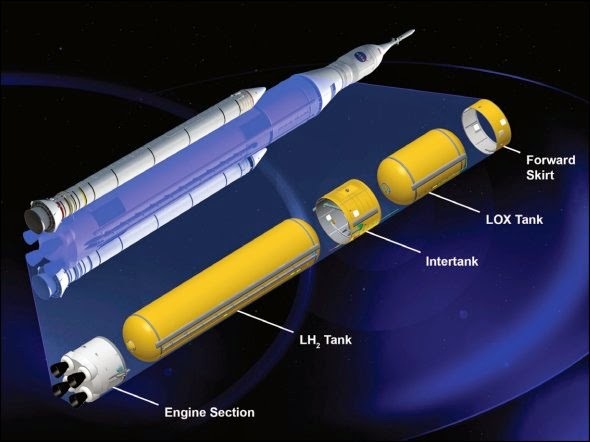 As I’ve noted in recent Space Sunday reports, there are some significant issues around the SLS core stage and its advanced Exploration Upper Stage (EUS) that has been seen as crucial to lunar operations. The issues with the latter were such that Brindenstine had indicated it would be placed on hold, and NASA would utilise the less powerful Interim Cryogenic Propulsion Stage (ICPS) at the rocket’s upper stage. Following Pence’s announcement, the NASA Adminstrator confirmed the emphasis would be back on getting the EUS completed, and a 45-day study has been initiated to determine how development of the rocket’s core stage might be accelerated. One of the ideas for the latter that is being floated is to cut a “green run” test of the first completed core stage main engines at full power for 8 minutes, which would require the completed stage being shipped from the Michoud Assembly Facility, Louisiana, to the Stennis Space Centre, Mississippi, and instead deliver the completed stage directly to Kennedy Space Centre for integration with the rest of the vehicle for its first launch. This would cut several months from the launch schedule, but also leave the stage untested. Bur even with such cuts, the 2024 goal is regarded as a “very aggressive goal”. 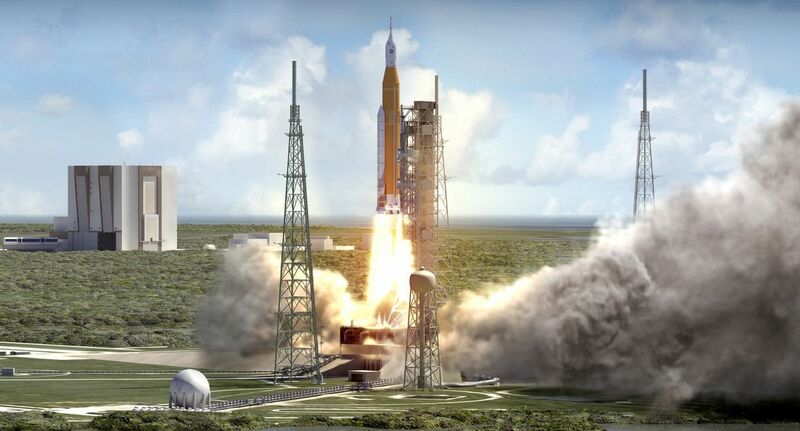 To achieve it, NASA will not only have to accelerate work on the first SLS vehicle, they will need an increase in funding across multiple related projects. For example, following the first two EM launches, NASA would need to gear-up to two SLS launches a year in order to lay the groundwork for a lunar landing – including placing the initial elements of the Lunar Gateway in orbit around the Moon. This alone requires the building of a second mobile launch platform (yet to be funded by Congress). Another issue is what will happen to the robotic precursor missions seen as stepping-stones towards a human mission. Currently, it is unlikely any of these will be ready to fly before 2021 – and no formal contracts have been awarded to the nine companies competing to fly them. Then there is the not insignificant question about the development and testing of the actual lunar lander vehicle. As such, while some organisations have responded enthusiastically to Pence’s announcement, others have sounded more cautionary notes. Though we support the focus of this White House on deep space exploration and the sense of urgency instilled by aggressive timelines and goals, we also are cognizant of the resources that will be required to meet these objectives. Bold plans must be matched by bold resources made available in a consistent manner in order to assure successful execution. Even some in NASA have voiced very public misgivings against the acceleration of goals given the overall state of the SLS and supporting programmes. Do you want to kill astronauts? Because this is how you kill astronauts. There’s no reason to accelerate going to the Moon by four years. It’s ridiculous. – Holly Griffith Orion Vehicle Systems Engineer, speaking to AFP. Certainly, if NASA is to meet a 2024 target date, it will need something of an increase in funding – and this is where Pence’s words fall flat: For 2020, the Trump Administration is seeking to decrease NASA’s budget by half a billion dollars compared to 2019 actual budget – and actually seek to decrease spending on SLS by 17.4% compared to 2019. 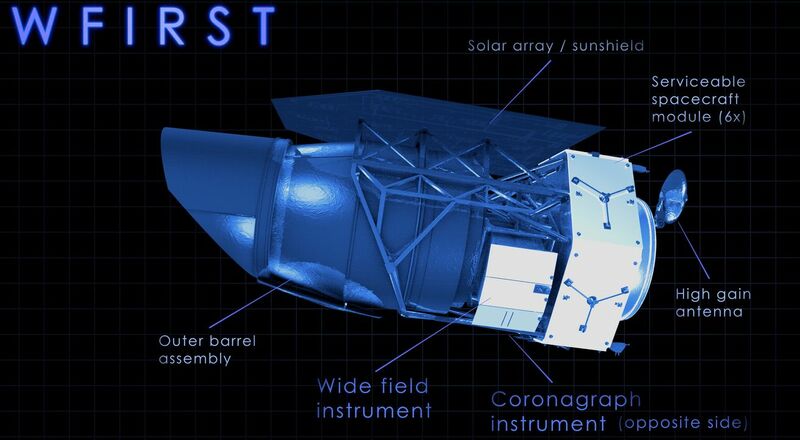 Another programme hit by the Trump 2020 NASA budget proposal is the astrophysics flagship mission, the Wide Field Infrared Survey Telescope (WFIRST). As I’ve previously noted in these updates, the Trump Administration tried to cancel WFIRST in their 2019 budget proposal, citing in part its expense – this despite the mission being one of the most cost-effective on NASA’s books, given it is able to use a lot of parts developed as back-ups to the Hubble Space Telescope – including the 2.4 metre diameter primary mirror. A second reason for the 2019 cancellation – which was prevented by Congress – was a claim that WFIRST “duplicated” work to be undertaken by the James Webb Space Telescope (JWST), and other aspects of the WFIRST mission could be achieved via “cheaper” means. In actual fact, WFIRST and JWST are able to mutually support one another’s mission, rather than duplicating mission elements. Nevertheless, it is the ongoing delays with JWST which are now being pointed to as the reason to de-fund WFIRST, the argument being that until JWST is launched, WFIRST isn’t a priority. NASA Administrator Brindenstine has suggested WFIRST’s funding could be brought back up to speed once JWST has been deployed. The problem here is that once a project has been de-funded, it can be very difficult to revive, as doing so tend to foreshorten desired time frames in order to get a mission launched, resulting in much larger additional costs than might have been the case had funding been allowed to continue through the intervening years. Further, 2020 is a crucial year from WFIRST: a design review for the overall mission is scheduled for October, and is due to be followed by what is called “Key Decision Point C”, and formal mission confirmation. Without funding, these milestones cannot be reached, potentially leaving the project in an uncomfortable limbo. A meteor is the fiery phenomenon resulting from an asteroid or other celestial body entering the Earth’s atmosphere. Often called a shooting star, if it does not fully vaporise and a part of it hits the Earth’s surface, it is called a meteorite. On December 18th, 2018, a meteor roughly the size of a school bus blew apart under the pressures of entry into the Earth’s atmosphere 26 km (16 miles) above the Bering Sea. The explosion released some 173 kilotons of energy – about ten times more that released by the bomb dropped on Hiroshima in 1945. It is the second largest meteor explosion recorded since NASA started officially tracking them 30 years ago, after the 2013 Chelyabinsk explosion in Russia. And no-one actually saw the meteor until after it had blown itself apart. In fact, no-one was aware of what had happened until three months later. It was on March 8th, 2019 that the meteor’s arrival was noted by human eyes. Peter Brown, a meteor scientist at the Physics and Astronomy department of the University of Western Ontario, was reviewing data from the system used by the Comprehensive Test Ban Treaty Organization to detect atmospheric explosions caused by nuclear tests. This system is comprised of seismic and acoustic sensors capable of picking up infrasound, inaudible to the human ear, at a distance of tens of thousands of miles. Brown noticed that many of the system’s sensors detected the sound waves from an explosion originating over the Bering Sea, and he calculated that had anyone been below it, the sound would have been deafening. He reported his findings to the United States Air Force, and a review of logs from their spy satellites revealed the passage of the meteor had been noted. A further check with NASA revealed their database of atmospheric impacts has logged the event, which was then officially announced. This prompted a race to verify, and Simon Proud, a meteorologist and specialist in satellite data at Oxford University in the UK, decided to check the archive of images collected by a Japanese weather satellite that sends data to his department. He found that the satellite, Himawari, had indeed visually recorded the event. And it was not alone. NASA’s Earth-observing Terra satellite also spotted the meteor with two different instruments — the Multi-angle Imaging SpectroRadiometer (MISR) and the Moderate Resolution Imaging SpectroRadiometer (MODIS). MISR team members combined some of their imagery into an animated GIF, which NASA released Friday, March 22nd. It is estimated that the meteor was some 10 metres (33 ft) across, and has a mass of around 1,360 metric tons. It probably entered the denser atmosphere at a speed of 115,200 km/h (71,600 mph). By comparison, the 2013 Chelyabinsk asteroid was about 20 m (65 ft) across, massed about 10,000 tonnes, and generated 440 kilotons of energy when it exploded. Even so, that event is dwarfed by the 1908 Tunguska event, which generated a force of 10-15 megatons (roughly 85 times greater than the December 18th, 2018 explosion), flattening 2,000 square km (800 sq mi) of forest through its air blast. So why wasn’t the December meteor seen? Well, firstly, because it entered the Earth’s atmosphere above a very remote place in the world; simply put, there weren’t that many people under its path to see it. But more to the point, there is an awful lot of rocky debris in space; as I noted in my previous Space Sunday report, Earth shares its orbit around the Sun with a great cloud of dust and rock, and more is constantly falling in towards the Sun from further out in the solar system. As such, meteors are actually a common event – not that it makes them any the less dangerous. Many of these lumps of rock and ice – as with the December 18th, 2018 rock – are simply too small to be easily located and tracked. Others, like the Chelyabinsk meteor, are occupying orbits that effectively mean they are hidden by the glare of the Sun, and remain unseen until the enter the atmosphere. Nevertheless, over the last 30 years, NASA’s Centre for Near Earth Object Studies CENOS has located and tracks some 20,000 near-Earth objects (NEOs) some of which may at some point come close enough to the Earth to enter the atmosphere, around 50% of them are between 140m and 1 km in size – large enough to pose a serious threat. While none are as big as the one that struck Chicxulub, Mexico, 65 million years ago and brought about the extinction of the dinosaurs, those at the upper end of the scale could still result in serious loss of life were one to explode over a populated area. 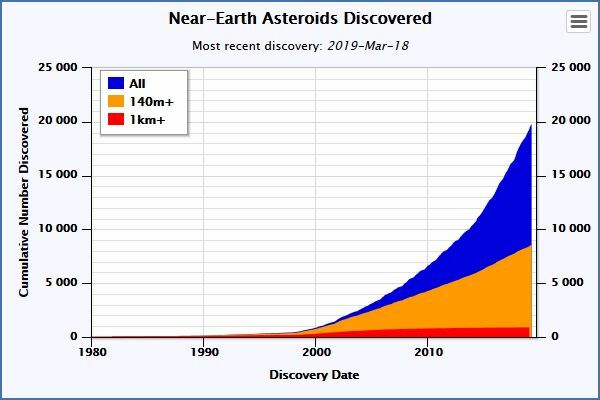 So tracking NEOs helps to reduce that risk by producing us with the advance warning needed to evacuate areas – or even to develop a plan to deflect the incoming object – something missions to asteroids like Ryugu and Bennu may also help us to achieve by teaching us more about the nature of asteroids. Keeping with meteor impacts, roughly 12,800 years ago Earth went through a brief cold snap unrelated to any ice age. Geologists have, for decades, argued for and against the idea it was caused by a meteor airburst or impact, referred to as the Younger Dryas Impact Theory, which also caused the final demise of the Clovis culture in North America. Now an international team of scientists believe they have found geological evidence in South America that could settle the debate. Led by Chilean palaeontologist Mario Pino, the team has discovered a large, young impact crater in the Osorno province in southern Chile, close to the tip of the continent. Analysis of the impact site suggest it was created around 13,000-12,800 years ago – a time coincident to the Younger Dryas Boundary (YDB), which marks the time of the Younger Dryas Impact Theory, when there were numerous impact events across the northern hemisphere. However, it is the size of the crater that suggests it may have played a significant role in the climate change that occurred in this period, causing widespread destruction, characterised by enormous biomass burning – around 10% of the Earth’s land surface, megafaunal extinctions and global cooling. Minerals found in the region are consistent with rapid temperature changes, further indicating the impact and the fires that followed it did indeed have a catastrophic impact on the global climate at the time. We tend to think of the Earth orbiting around the Sun along a path largely free from debris. However, this is not strictly true. Twenty-five years ago, scientists discovered that Earth orbits the Sun along with a giant ring of dust which appears to have originated within the asteroid belt that lies between Mars and Jupiter. This belt is made up of millions of rocks of all sizes, many of which over the millennia crash into one another and grind together, producing a lot of dust. This gradually falls towards the Sun as a result of gravity – but along the way, some of it is influenced by the Earth’s gravity, becoming trapped along and either side of the Earth’s orbit, forming a ring. Observations of Mars by NASA’s Maven orbiter have also given indications that the Red Planet could have a ring – or at least, a proto-ring – occupying its orbit, while 10 years ago, astronomers discovered a ring straddling the orbit of Venus. Now a new study reveals little Mercury has a ring of dust lying along its orbit – although by rights, it shouldn’t. Mercury’s ring was discovered entirely by accident – ironically, those responsible for its discovery, Guillermo Stenberg and Russell Howard of Naval Research Centre in Washington, DC, were attempting to find a dust-free region that is thought to surround the Sun, created by solar energy radiating outwards from our star. The idea being that determining the size of this dust-free region would both reveal more about the nature of the Sun and the evolution of the solar system. But instead of locating this area of “empty” space, the astronomers discovered the ring sharing Mercury’s orbit. 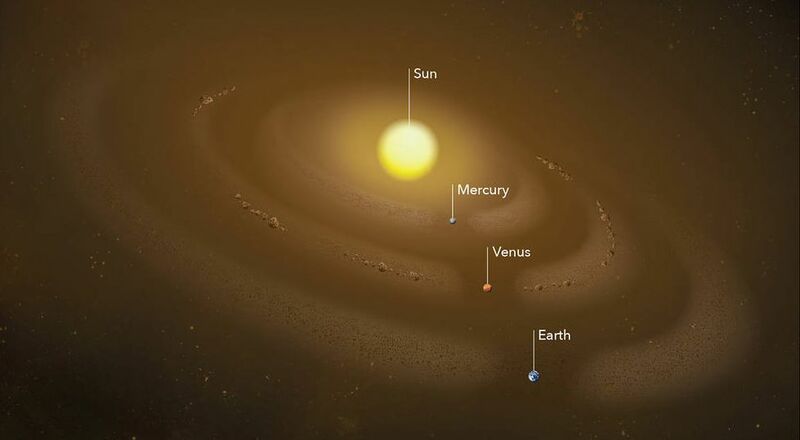 People thought that Mercury, unlike Earth or Venus, is too small and too close to the Sun to capture a dust ring. They expected that the solar wind and magnetic forces from the Sun would blow any excess dust at Mercury’s orbit away. The two scientists worked with images from NASA’s STEREO solar observatory. This pair of satellites follow highly elliptical geocentric orbits. Over time, one of them pulls farther ahead of Earth while the other falls further behind. This means that together they provide stereo images of the Sun. In studying the images from the satellites, Stenberg and Howard noticed an area of enhanced brightness along Mercury’s orbit, indicative of a dust ring being present. The question is – how did it form? There’s no answer to this yet; as Stenberg notes, the ring shouldn’t be there, and the lesson of Venus has revealed that it’s better not to assume common factors in the formation of these rings. This is because initially, it was assumed the ring around Venus was the result of the same gravitational forces that have created the dust ring along Earth’s orbit. However, when astrophysicists Petr Pokorny and Mark Kuchner from NASA’s Goddard Space Flight Centre attempted to use extensive computer modelling to try to reproduce a dust ring matching the one in Venus’ orbit, they were unable to do so. As a result, the two started researching and modelling possible explanations, and in a paper published on March 12th, 2019, the two suggest that the Venusian ring is the result of a previously undiscovered group of asteroids occupying the same orbit as Venus with a 1:1 resonance (that is, they complete one orbit of the Sun for every orbit Venus makes). Further, their research suggests that the group of asteroids are the remnants of a much larger asteroid ring that existed when the solar system was born. The asteroid themselves have yet to be located – no easy task, assuming they do exist, as the Venusian dust ring is 25.5 million km (16 million mi) deep, and 9.6 million km (6 million mi) across, and bright enough to hide larger objects within it. However, if the asteroid are discovered, they would not only confirm the theory about how the dust ring around Venus’ orbit formed, but also hold clues to how the solar system formed. In my previous Space Sunday report, I covered the announcement by NASA that suggested the Space Launch System rocket might have its initial launch delayed. Now it seems the system is to undergo further changes to both its initial flights and its future development. As it was originally planned, the SLS was to have been initially launched in its Block 1 configuration. 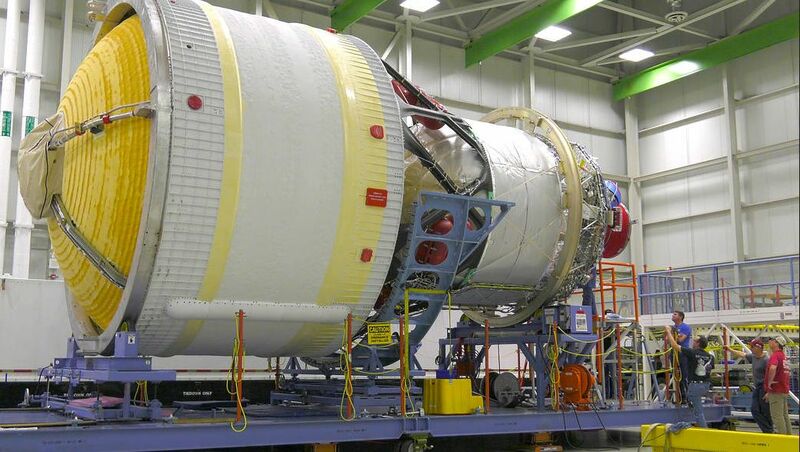 This would see the vehicle use what is called the Interim Cryogenic Propulsion Stage (ICPS) as its upper stage. 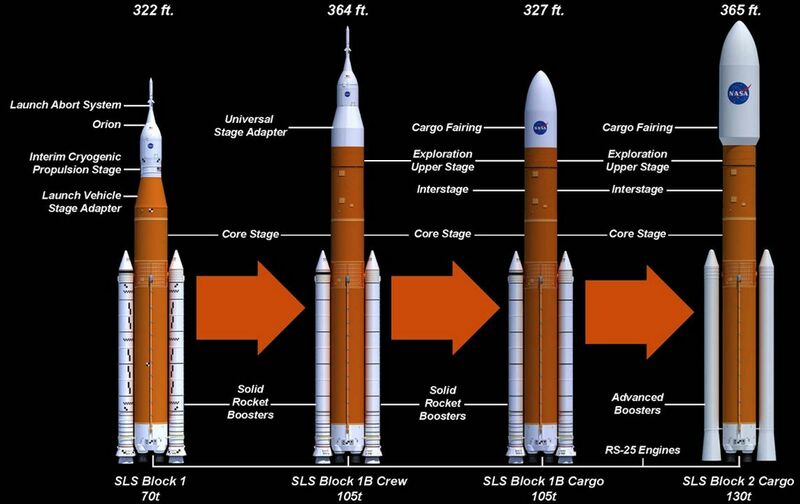 After that, launches would switch over to using the Block 1B version, intended to use a more powerful upper stage called the Exploration Upper Stage (EUS), being built by Boeing Aerospace. 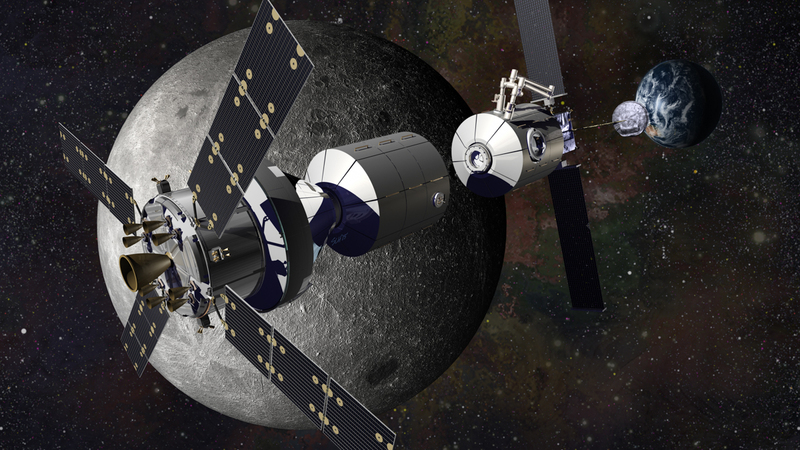 Given issues with the development of the EUS, in late 2018 NASA announced the first two SLS launches, referred to as EM-1 and EM-2, and designed to send a Orion vehicle on a month-long trip around the Moon, the first uncrewed, the second crewed, will utilise the Block 1 version of the rocket, with flights thereafter shifting to the Block 1B rocket to undertake tasks such as launching elements of the Lunar Gateway. Now, under the Trump Administration’s 2020 budget request, it appears the introduction of the EUS is to be deferred – possibly indefinitely, with NASA ordered to carry out all initial flights using the Block 1 variant of the rocket. 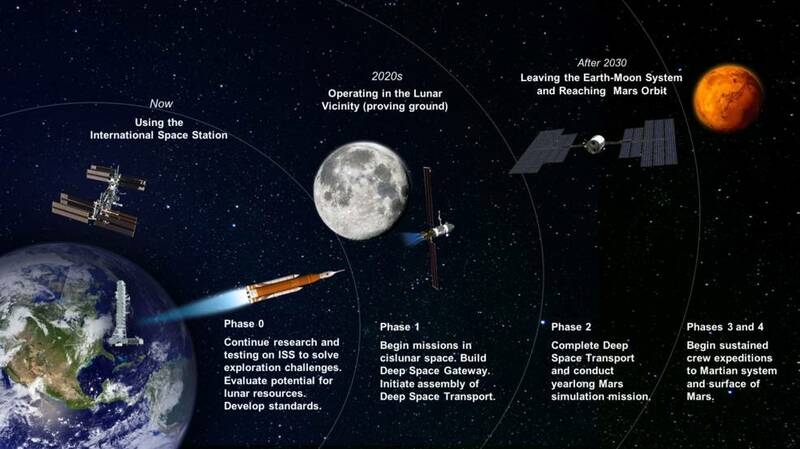 While the ICPS stage is more than sufficient to achieve the objectives established for EM-1 and EM-2, it is not powerful enough to meet all of the demandd of the proposed Lunar Gateway development. Instead, NASA is expected to supplement SLS flights to build the Gateway with the use of commercial launch vehicles, such as the United Launch Alliance Delta V, the SpaceX Falcon Heavy and – potentially – Blue Origin’s New Glenn.